The 2351TEM photoelectric smoke/thermal detector forms part of the Series 300 range of conventional detectors. This range of detectors has been produced using the latest in manufacturing and design techniques, pushing out the boundaries of existing conventional detector technology. With it’s multitude of innovative features, the Series 300 is a detector which ‘acts conventionally, thinks intelligently’. The 2351TEM photoelectric smoke/thermal detector incorporates an optical chamber and a thermal element, which in turn are continually monitored by an on board processor by using algorithms developed specifically for the unit. An alarm signal is only enabled in the detector once the processor is satisfied that an incipient fire has been detected. By using a combination of inputs, the incidence of nuisance alarms is reduced while at the same time, the response time to an actual fire is also improved. The 2351TEM and other detectors in the Series 300 range are backward compatible with the Series 100 detector bases, thus providing the capability to upgrade, extend and maintain existing Series 100 installations. The 2351TEM detector incorporates a bi-colour LED indicator. The integral LED changes colour according to the detector’s status – Green = Normal, Red = Alarm. This benefits the user by providing clear, instant visual indication of the detector’s condition. The Green LED can be programmed for blink/no blink operation. ‘Drift compensation’ algorithms are one of the key features of the 2351TEM detector. These algorithms ensure a consistent alarm sensitivity threshold for periods between service intervals. This provides the user with both a reduction in the frequency of nuisance alarms and maintenance savings by extending the period before cleaning of the detector chamber is required. 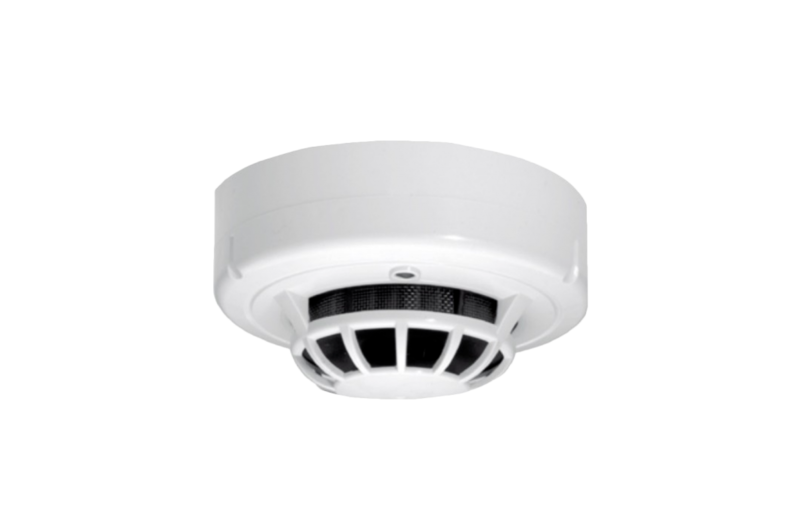 The sensitivity of a smoke detector is critical to its overall performance, this is reflected in both its ability to detect real fire conditions and its resilience to non-fire stimuli. The 2351TEM’s performance can be optimised for it’s application by selecting from one of three preset alarm thresholds – Low, Medium and High, offering greater stability and optimum performance within the environment in which it has been installed. The selection is easily achieved through the use of a remote hand-held tool.